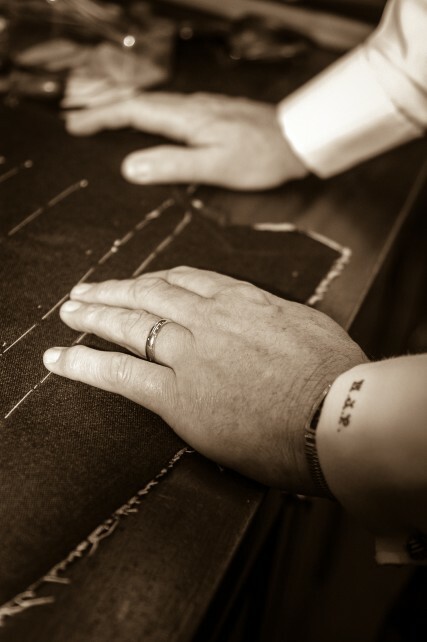 With over 50 years of experience, Malcolm Plews is a veritable Master Tailor and Cutter. His love for traditional methods and, more so, his appreciation for the many talented people that surround him in the creative process, has ensured that his craft has developed over the years into something very special. Every element of a Malcolm Plews suit, from the materials used to the people that help him make it, come together in perfect harmony. This dedication to quality transforms his bespoke suits into more than just something you wear. They become an emotion, a feeling of confidence – something that keeps clients coming back. 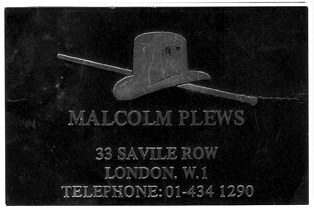 Before making his mark in London, Malcolm’s first foray into tailoring was at the age of 15 at Frederick Gower tailors and outfitters in his home town. It was here that he started his apprenticeship and where he would discover his passion and, more importantly, his ability for crafting men’s apparel. A move to the capital saw Malcolm heading into a fashion scene where, particularly in men’s apparel, new styles were constantly immerging; major influences included everything from the Mods to jazz, to new trendsetting icons like The Beatles and The Rolling Stones. London had become a global melting pot and was definitely the place to be for an aspiring tailor. After three years, Gieves (now known as Gieves and Hawkes), acquired Federick Gower. They took over Malcolm’s apprenticeship and this afforded him the opportunity to not only move to London, but also continue shaping his career with further study. 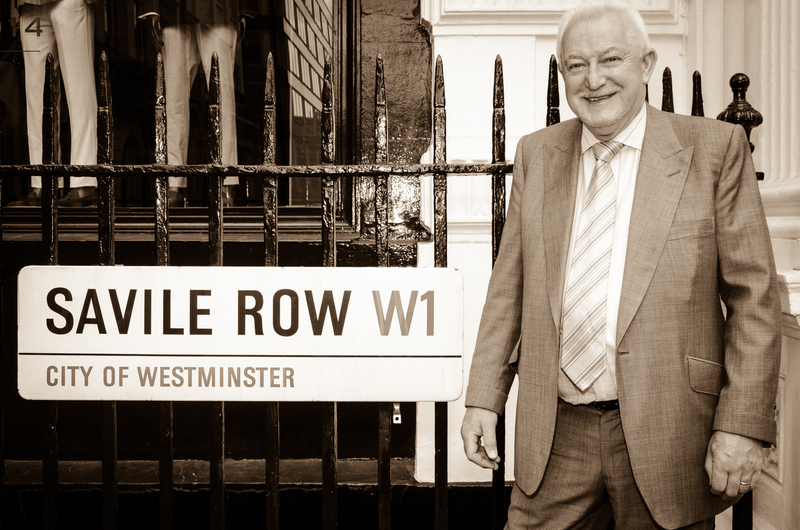 Referred to as the ‘Golden Mile of Tailoring’, Savile Row was the perfect place for Malcolm to learn his trade. On day release, he attended the renowned Shoreditch College, where he learned basic cutting skills, studied textiles, and also won the prestigious college shield in 1964. 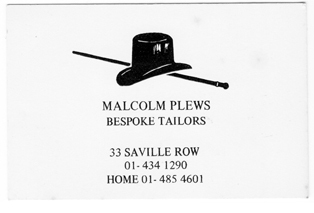 Malcolm has worked in Savile Row for 48 years. He worked initially as a tailor and eventually as a cutter. It was at Gieves and Hawkes that he gained invaluable tailoring experience in military attire – a set of skills that would one day help him secure the Royal Warrant. 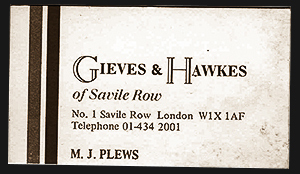 After leaving Gieves and Hawkes, Malcolm used his extensive knowledge and experience at various bespoke tailors in Savile Row and when a small shop in Savile Row became available, Malcolm decided to open his own business at No 33. He had 12 happy years there until the building was sold to developers and he joined Dege Skinner. He later joined Welsh and Jefferies where he worked until 2011. Nurturing tomorrow’s tailors and cutters is something very close to Malcolm’s heart. As a life-long student to the craft of tailoring, he sees it as his responsibility to pass on the knowledge and skills that others have passed onto him. To do this, he invites younger cutters in the trade to his home for training, thereby passing on his wealth of experience to keep the pulse of this wonderful and exciting trade beating. As a young man I was enthusiastic about handcraft skills, art, woodwork. I have always been fortunate enough to have the opportunity to do something I really love. I am as passionate about my trade today as I was when I began over fifty years ago. It truly is an inspirational trade to be working in.